My dance professor, Ms. Anya Cloud, loved to tell me, “Get used to living in the unknown because you never know what you’ll find there.” It’s an interesting concept to think about, really. To me, there is something so unsettling about not knowing what will happen. It’s like that feeling of anxiousness while you’re waiting for a grade on a test. It’s like sitting in an abyss – just me and my own worries and thoughts. 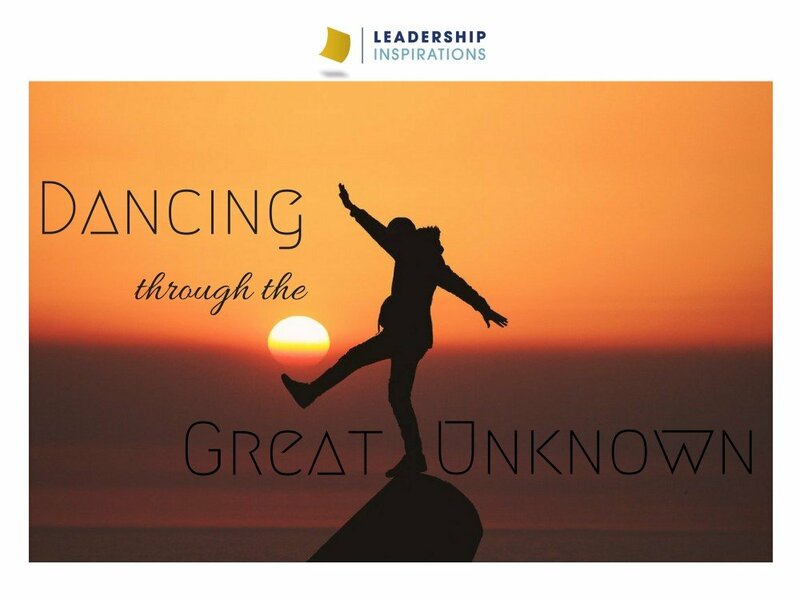 I didn’t like this feeling for a long time and it wasn’t until this dance class that I was challenged to think about “the unknown” differently. I had to think about that one. It was weird because no one had ever asked me to dance like that before. No one had ever asked me to think like that before. That idea, in and of itself, was unknown to me. So often when we encounter things that are out of our own vision, standard, moral set, tradition, or worldview we label them as different or strange, or even sometimes dangerous. We hold those things at a distance until we can figure them out. This is how we, as people, dance our way through life. We have set choreography, scores, and improvisations that keep us on track. 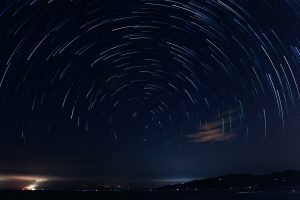 There’s a lot of mystery to our lives and so we have a tendency to create structures and norms in order to make sense of it all. 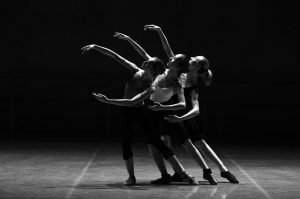 But then…dance is something that isn’t necessarily figureoutable…so how do we break out of our norms and step into that unknown? That class was brutal as our grades were dependent on getting comfortable with that unknown space. It took time but I soon found a way to make the unknown a state of mind. In that classroom I let go of all of my worries, predictions, and expectations. What I found is that more often than not, the toughest obstacles were simply my own criticisms and thoughts. So, when searching to understand, I had to let go of needing all of the answers. I had to trust myself and work to break out of the routine that gave me comfort in order to venture into the vast abyss that is the unknown. Once I was able to relinquish the reins on who I thought I needed to be and actually trust myself, the unknown wasn’t quite so intimidating. I was able to be present. Now that this comfortability with the unknown found its way into my everyday life, I feel that my actions are dictated by feeling and spontaneity, instead of the patterns and rhythms I knew so well. There is something beautiful that comes with leaning into the unknown. I can trust that I am all I need in order to succeed in the midst of turmoil, confusion, or ambiguity. That is a powerful discovery. And so, Anya was right, you never know what you might find in the great unknown. Go check it out for yourself! Challenge yourself this week to step outside of your comfort zone! 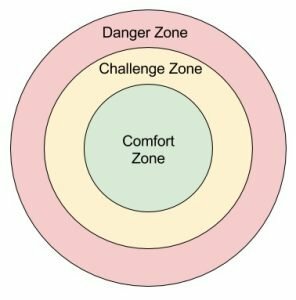 Place your goals on the Comfort Zone Model – do they belong in your Comfort Zone, Challenge Zone or Danger Zone? Check in on your action steps at the end of the week – celebrate your successes and evaluate your goals if they aren’t realistic or achievable. Hello wonderful reader! My name is Kevin Benitez, but those close to me call me Kevito. I am 19 years of age and this will be my second year with Leadership Inspirations! 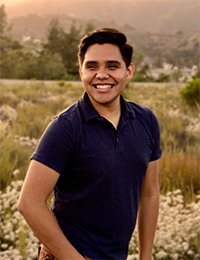 I am currently in the process of earning my undergraduate degree for Architecture to hopefully one day be a Disney Imagineer! One of my biggest passions has become serving individuals by filling their minds and spirit with the confidence to believe in themselves in order to fulfill their own aspirations, which is why I decided to become a part of the Leadership Inspirations team. Thank you for taking the time to read a bit about me, hope you have a wonderful day!